Four-legged friends love Everlast Pet synthetic turf! Pets can run, jump and play on this turf all day to their hearts content with minimal mess! Gone are the days of muddy paws and bugs tracked into the home by your furry friends! 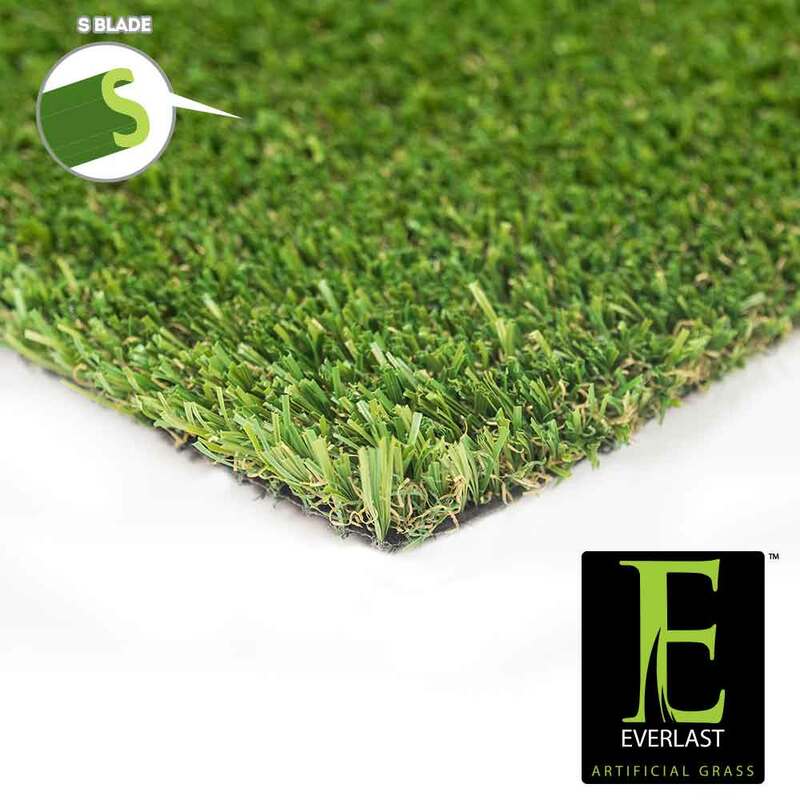 As a top choice among North American installers, Everlast Pet turf features field and olive green grass blades in addition to the brown thatch layer for added realism. The grass blades are individually tufted into the perforated turf backing with tuft bind technology to give this turf a strong durability which makes it ideal for pets of all shapes and sizes! The backing perforation is perfect for any kind of liquid to easily drain to the ground, so cleanup is easy! The one inch pile height makes this turf ideal for pets and still terrific for landscape alternatives! Backed by our 15 year guarantee, Everlast Pet turf will last for years to come, no matter the foot traffic! Keep the lawn maintenance low with Everlast Pet synthetic turf! Your furry friends will thank you!